Schedule | Do You Hear The Music? You’re going to want to say you saw BØRNS at Life is Beautiful this year. Bursting on to the scene in 2015, Garrett Borns is an indie-pop star in the making. If you’re a fan of Passion Pit, Priory, Saint Motel and MisterWives, you’re going to love BØRNS. I got my first live glimpse at BØRNS at SXSW this year and have followed his performances since, boy are you in for a treat at Life is Beautiful! When we drop the schedule be sure to add him to your schedule and let him just take you on a dreamy set while you bask in the Vegas sunshine! 25 days; see you soon!! Just a shade over three weeks away and Bonnaroo is coming together more and more each day. 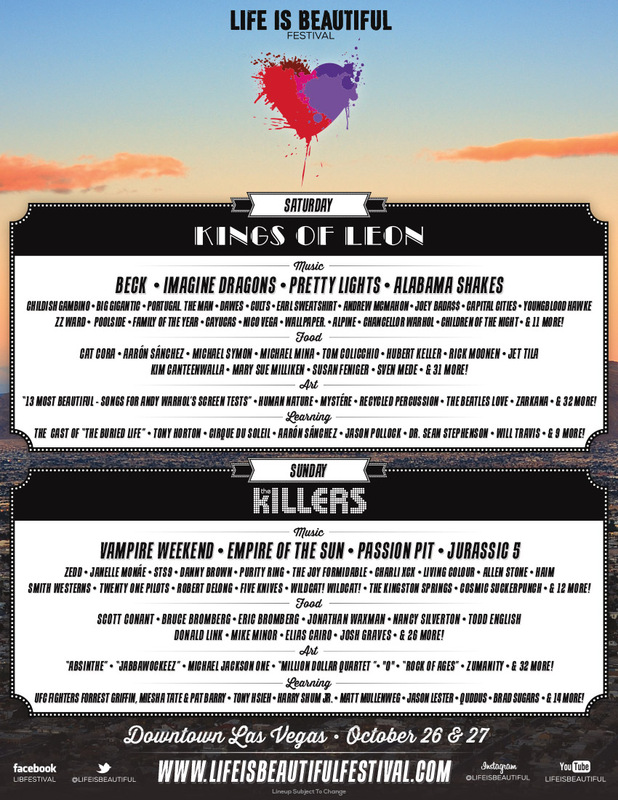 Today even more artist additions were announced (they actually leaked on the site last week) including The Dirty Guv’nahs, Sharon Jones & The Dap Kings, Penguin Prison, GZA anda handful more! You can view the whole artist lineup HERE. 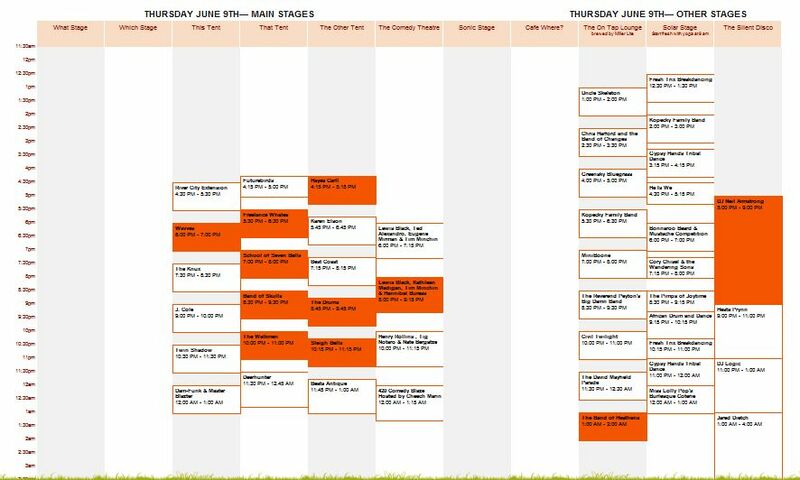 Also the exciting news is that the schedule was released which means the agony of trying to figure out what bands you are going to see, miss, run from to another, etc. can begin as you plot and plan how to attack this incredible lineup. 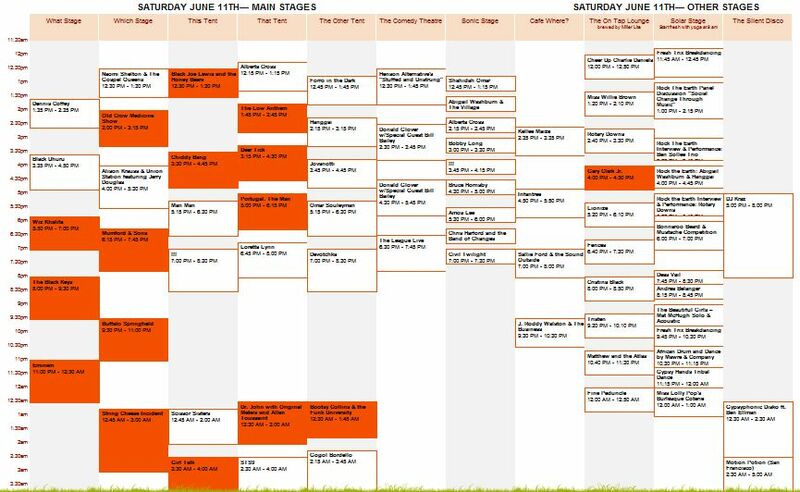 You can view the whole schedule HERE. Personally I can’t wait to get the 2012 festival underway with Tennessee’s own, The Dirty Guv’nahs! To most, Ryan Bingham is known as the Oscar winning recording artist for his song “The Weary Kind” in the Jeff Bridges movie, Crazy Heart. Really this is just the icing on the cake because his works before are even better and hopefully the rise in popularity gave people a chance to give a listen. With a raspy voice and one heck of a band in The Dead Horses, Bingham is a nice slice of Americana that you can’t get enough of. I got hooked on his album Roadhouse Sun but it was his disc Mescalito that really made me a huge fan. Definitely can’t miss next month at Bonnaroo. 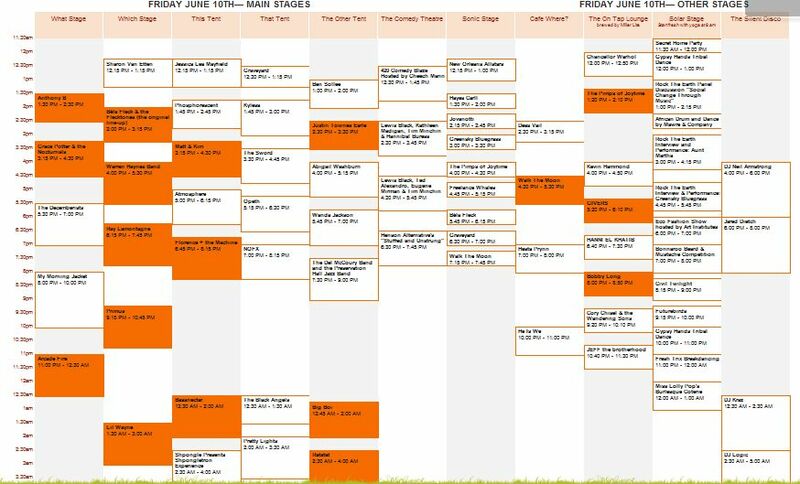 Finally the Bonnaroo schedule has been released! Click HERE to take a look. 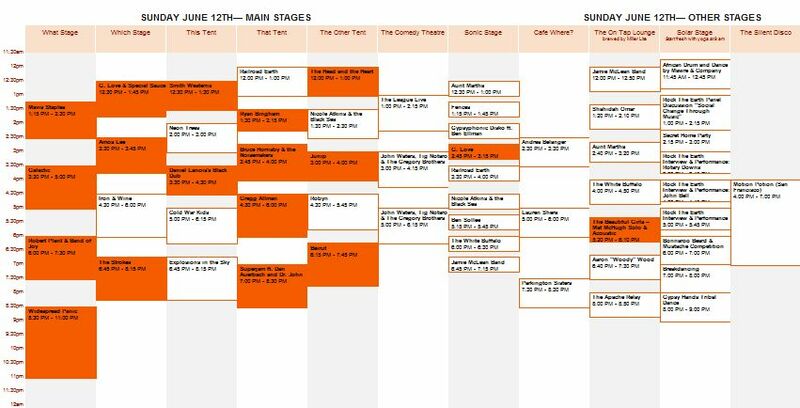 As expected when the schedule came out, there are many many conflicts and overlaps with artists and set times. 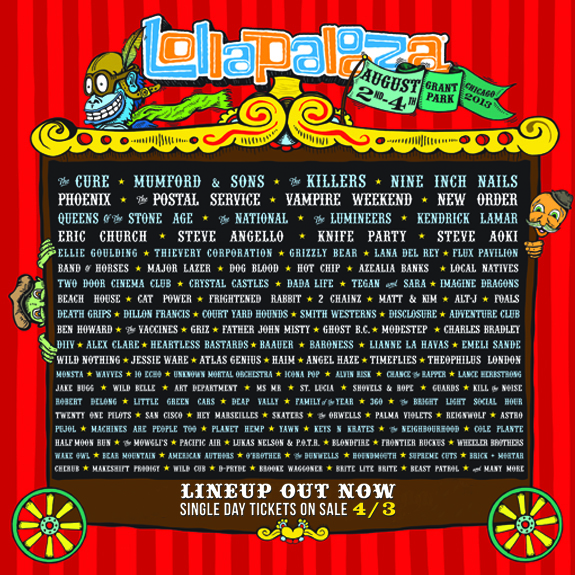 Of course for me there are the staple artists that are marked as must sees (Widespread Panic, String Cheese Incident, Buffalo Springfield, Mumford & Sons, Gregg Allman, Robert Plant, G. Love, The Black Keys, Warren Haynes, etc.) and after that, time to figure out the rest. Who knows, my ideal schedule today may end up being completely different when I arrive. All I know is there is a ton of great music and I can’t wait to be surrounded by 90,000 of my new closest friends.